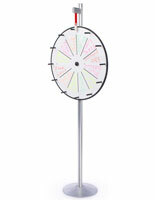 Looking for a great way to host a game at a trade show, party or company get-together? 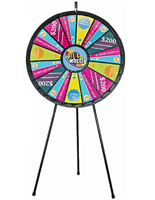 With these floor standing prize wheels, users can attract passersby to a promotional event and give them an incentive to participate. 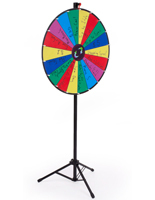 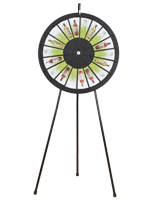 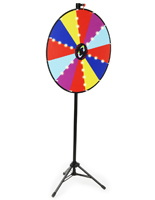 The spin games feature a bright, colorful design that draws crowds even at the largest exhibitions and banquets. 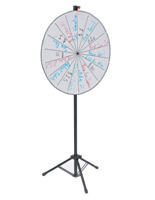 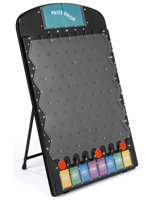 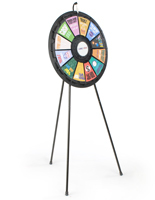 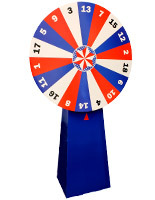 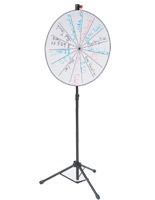 This type of floor standing prize wheel is offered in a number of sizes, styles and number of slots to accommodate any user and organization. 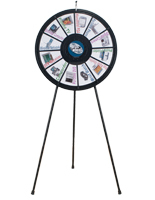 In addition, these trade show games are made to stand by themselves and don’t require a table or counter for an attention-getting display. 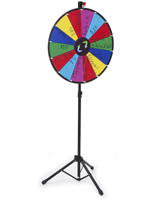 What makes these floor standing prize wheels an excellent choice for school, business and church events? 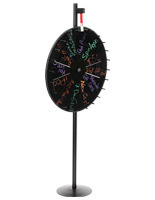 Each of the spinners can be customized with graphic inserts and write-on messaging for featuring any image or messaging. 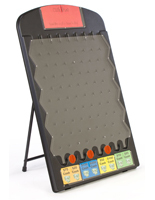 This is a great way to show a company logo and other branding information. 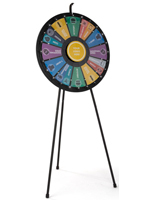 Some floor standing prize wheels feature an adjustable design to become a countertop display or to create a compact shape that’s easier to bring to banquets. 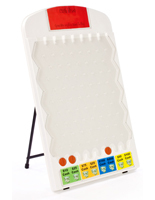 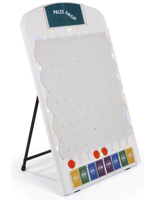 In addition, others have light-up boards, included printable templates and alterable slots for customizing the number of possible results.